We are excited to share information about the 2018 Urban Autism Summit which will be hosted in Milwaukee, WI on Saturday, June 23, 2018! The annual summit brings together parents, educators, community members and professionals to address racial disparities in the early diagnosis of autism and to reverse the persistent inequities in access to services and early intervention for families in communities of color and other underserved populations in Milwaukee. Since 2014, the summit has been an important convening space for families of people on the autism spectrum and providers to bridge knowledge, resources, services and supports for Black, Latino, and Hmong children and families. After five years as a volunteer planned and ran summit, the Urban Autism Summit planning committee is partnering with Derute Consulting Cooperative to help expand summit reach and awareness and strengthen supports from the broader Milwaukee community. 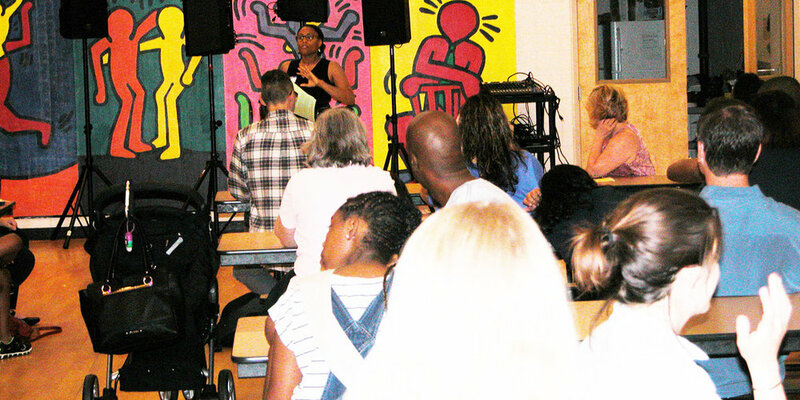 The Urban Autism Summit convened for the first time in 2009 at the Milwaukee Center for Independence to address issues regarding racial disparities in early diagnosis of autism in underserved populations. Groups of parents, educators, and professionals came together to problem solve persistent inequities in access to services and early interventions for Milwaukee families. Five years later, a group led by Dr. Elizabeth Drame, professor and department of chair of Exceptional Education in the UW-Milwaukee School of Education and a founding member of Derute Consulting Cooperative, spearheaded the planning of the second Urban Autism Summit in 2014 to explore ongoing challenges and the successes achieved since the first summit. The summit has been an annual event since. The goal of the Urban Autism Summit is to bridge the knowledge, resources, support and services gaps for Milwaukee and surrounding area families of people on the autism spectrum, with a specific focus on Black, Latino, and Hmong families. The summit is free, open and accessible to the public, and its theme varies annually based on evaluation feedback and impacted parent input in the planning process. Past workshop topics have included: coping with stress; post-secondary education and employment; self-advocacy and self-determination training; puberty on the autism spectrum; and collaborating with schools. A Spanish-speaking track was added in 2017, attracting 10 families. For this year’s summit, our intent is to provide interpreters for every workshop so that attending families can learn together with no language barriers. Children’s workshops were added to allow parents to attend the summit while their children experienced their own ‘summit’. Past focus areas for children’s workshops have included: yoga, martial arts, graphic design, play skills, theater, and arts. Attendance at the summit has grown each year with 140+ adults and 57+ children on the autism spectrum and their siblings attending in 2017. The Urban Autism Summit is supported by a volunteer planning committee, comprised of parents and individuals from Milwaukee-based organizations, including UW-Milwaukee, Marquette University, Autism Society of Southeastern Wisconsin, Milwaukee Public Schools, Easterseals Southeast Wisconsin, and Derute Consulting Cooperative. This year, the planning group will begin implementing an impact assessment to determine if the summit is helping to achieve the summit’s overarching goal of closing knowledge, supports and service gaps in Milwaukee.